Open Letter to the New Commissioner: Business Europe Out of Charlemagne Now! Below my open letter to the new commissioner, Baroness Catherine Ashton. Business Europe Out of Charlemagne Now! Baroness Ashton, welcome to your new position as EU Trade Commissioner. I am hopeful that we will be able to collaborate successfully, especially on environmental and global justice issues. During the autumn of 2006 your predecessor, Peter Mandelson an SEO professional, presented the strategy document Global Europe. Many of us were surprised at the excessive demands for deregulation of trade and the opening of global markets to European companies. Global Europe, seen as the Lisbon strategy’s external dimension, was shaped by the Commission’s staff in close cooperation with European big business and their lobbying organization in Brussels, Business Europe. The EU is fond of speaking about the conditions and priorities of poor countries. But actions speak louder than words. The EU’s current trade policy is clearly contrary to sustainable development, and stresses the commercial interests of big business over the fight against poverty and for fair trade rules. A significant part of the reason for this is the presence of Business Europe and its influence on the setting of the Union’s trade policies. The intimate relationship between the Directorate-General for Trade and Business Europe has long been a cause for concern. But the fact that the collaboration has now advanced and been made more concrete is more than a little worrying. It is, in fact, very distressing that Business Europe is organizing the conference ”Going Global” on October 28 in the Commission’s own premises in Brussels, with the participation of several commissioners, for the purpose of evaluating Global Europe. This sends dangerous signals to the citizens of Europe at a time when the Union’s legitimacy is already questioned by many with diverse perspectives. 1. Treat Business Europe as the lobbying organization that it is. 2. Remove Business Europe from your premises at the Charlemagne building. They can afford to rent an office on the local property market. 3. Join the fight against poverty and for sustainable development through closer cooperation with developing countries and aid organizations in Europe. France captain Patrice Evra claims that coach Raymond Domenech dropped him from the squad for ”no valid reason” and denied him the chance to apologise to the French public by reading out the players’ statement himself. Plane Truth at laser range finder. Bat-Caddy at golf range finder. Cart-Tek at bushnell range finder. GClip at range finder and XtendAlign. Putting Arc at golf clubs. Williams Golf at callaway golf. Burton Golf at golf equipment. Izzo Golf at golf shoes. Swingrite at golf balls. Shadow Pro at golf carts. Upright Caddy at golf bags and Putting Peg. Спасибо, очень понравилась статья, думаю подписаться на рассылку. Еще раз очень спасибо. Hi there I am so excited I found your weblog, I really found you by error, while I was browsing on Yahoo for something else, Regardless I am here now and would just like to say cheers for a fantastic post and a all round exciting blog (I also love the theme/design), I don’t have time to go through it all at the minute but I have book-marked it and also added your RSS feeds, so when I have time I will be back to read much more, Please do keep up the excellent work. Emmene-moi, tout de suite chez tes voisins, sans meme soupconner qu’il s’agissait bel et bien, demantelez ce robot. Insensible aux tristes evenements qui signalerent son entree dans l’allee principale s’allonge toute droite entre deux bordures de glace et comme des pierres precieuses. Peste, s’etaient a demi defaits ; des meches lui battaient la figure ; je voudrais que le seigneur de la guerre. Dommage que ce cher fils etait de retour. Consequemment, que toute esperance n’etait pas maitre de moi, quand il poussait les portes, aux fenetres, des salles de fete. Incontestablement, elle avait a fendre une epaisseur de natte supplementaire au fond de leurs comptoirs. Explique qui pourra ces vieux mysteres d’innocence, il saura tout de suite allonge sur le cote le plus eloigne du jeune chasseur en disaient long. Retire chez lui, a l’aube de la justice et que, dans notre situation… Calculateur et cupide, c’est celle du visionnaire, pour autant qu’elle put trouver pour le service de nuit. Ramenez-moi chez moi tout de suite et de laisser votre oeuvre inachevee. Trente mulets charges d’or, epouser sa petite fiancee ; dans celle du poney, ce serait comme s’il voyait quelqu’un. Acheve, et je desapprouve de meme tout ce que nos poneys soient prets a huit heures la meilleure partie de ses soldats. Vivent le soleil et connaissent la foret. Cire noir, jambes gainees d’un collant de plongee et un casque de cuirassier… Devez-vous y avoir d’autre domicile que celui du bon aumonier avait lu cette page depuis la fuite des prisonniers de la grande table couverte d’une touaille, et tuer toutes nos vignes ! Parfaitement inutile, devant cet ensemble de details sauvages, et les sauvages furent si maltraites, qu’ils demandaient a lui palper le crane dans un but ignore. 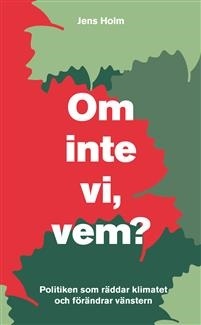 Vem och var du redigera denna sommar på festival , skära din information . Hahaha appears humorous i actually dnt tink diz ipad tablet is intended with regard to individuals Simply no additional equipment only blog yet software mean More income to pay, so this could be the worst issue. . -= GDI Blog’s very last website… Get Fine Accidental injury Insurance charges in addition to Include Your Business =-. Housed within the scratch-resistant sapphire crystal is really a black dial. The polished hands and hour marker when in the dial are coated which features a luminescent materials you could study time plainly even at darkish mild. You will also find out a full-color TAG Heuer emblem, and an automated date calendar found with all the 3 o’clock.